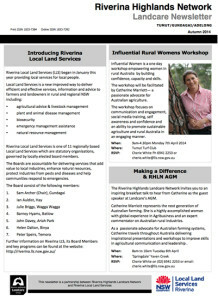 Riverina Highlands Network Landcare Newsletter is distributed ocassionally. Hard copies of past issues are available. Contact us to join our Newsletter mailing list.